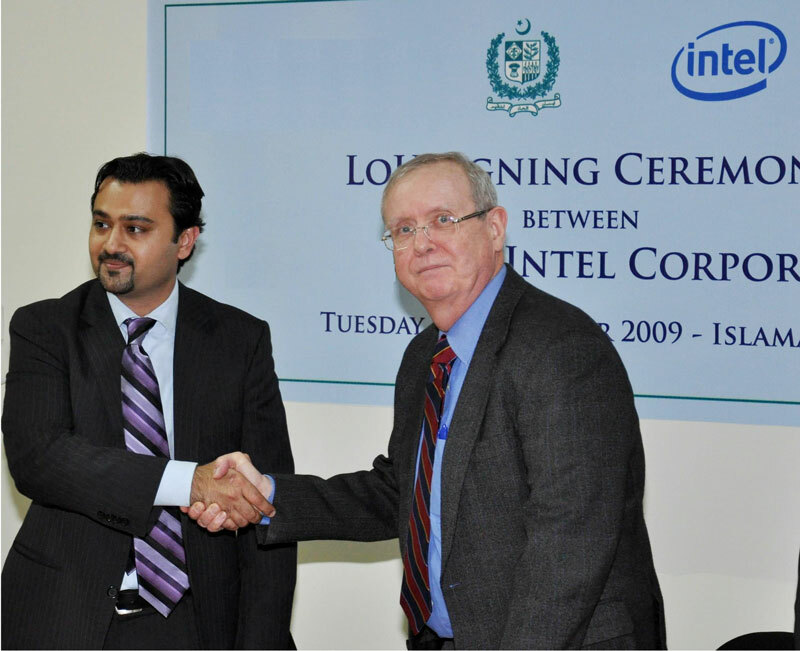 Intel Pakistan Corporation signed an MoU with the American Institutes for Research (AIR) which encompasses the joint collaborative efforts and activities by AIR and Intel toward the promotion of technology in the training services provided to teachers and head-teachers of public sector schools supported by the USAID funded program. Intel and AIR will collaborate to promote technology aided learning in the education environment through implementation of the Intel Teach Program. Seen in the picture are Ashar H. Zaidi, Country Manager, Intel Pakistan Corporation and John Raleigh, Chief of Party of the USAID funded program at the signing ceremony.